I have 2 blogs available for posting. One is a webmaster blog and the other is in the "make money online" niche, so you can choose which one to post in according to your related content. I will write a 200-300 word basic post about your product or service, which includes up to 2 PERMANENT outgoing links to your website or affiliate link. You can also let me know if there is anything specific you would like me to write in the post. 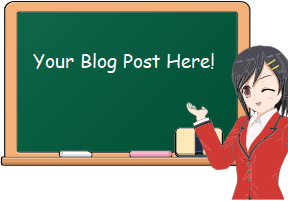 Both blogs are old and have links to them from high profile forum accounts that get a lot of traffic, but they don't get posted often, so this is a good opportunity for you to get exposure without a lot of competition knocking you out of place. Relevant visitors WILL see your content! NOTE: I will NOT risk my good reputation by promoting any scam sites, so message me first with your link to see if it fits with my blog content. Blog Post Recommending Your Site Or Affiliate Link is ranked 5 out of 5. Based on 2 user reviews.